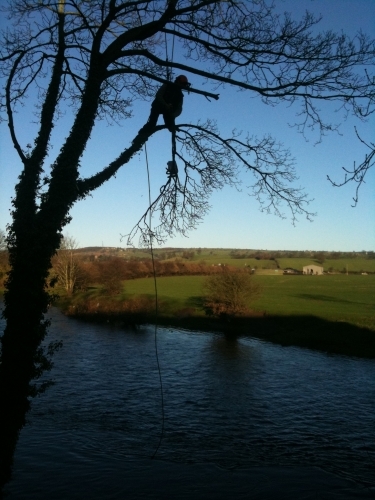 Yorkshire tree surgeons specialise in all aspects of tree surgery. 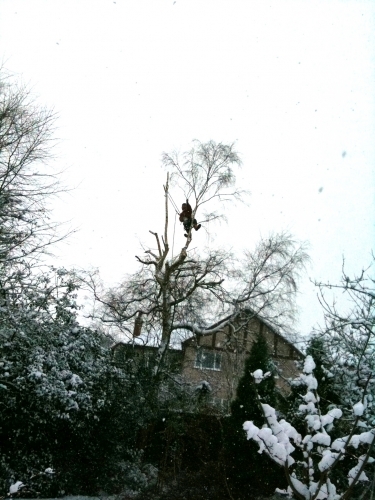 From light pruning works for aesthetics through to dealing with large dangerous trees. Tree removal falls into two categories, felling and dismantling. 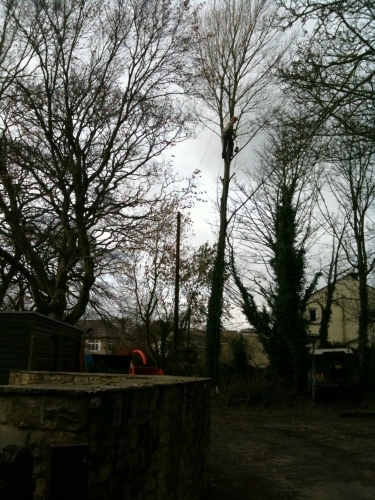 The felling of trees is mainly carried out where there is no risk to the general public and to property. However, most trees we work on are situated in more enclosed enviroments, often growing over buildings and roads. In this case we take them down in sections with either the use of a cherry picker or with the use of lowering systems allow for a controlled and safe dismantle. 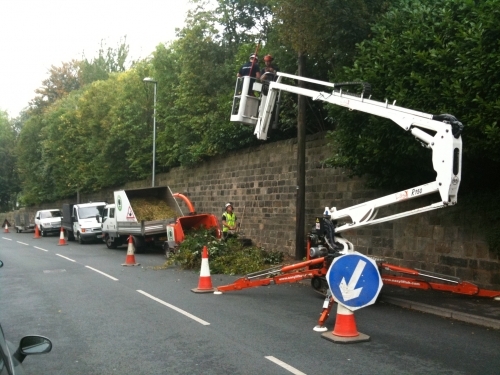 Although the removal of trees is sometimes necessary, most problems, be it light issues or encroachment onto property, can be solved by the pruning of the trees canopy. Crown thinning involves removing some secondary branch growth to create a less dense crown. Normally all dead, dying and crossing branches are removed. Crown thinning can enhance a tree’s appearance by creating a more visually balanced crown. Crown lifting involves removing some of the lower branches beneath a tree’s crown. We often do this to trees near footpaths and roads to allow traffic to pass by safely. It can also help more daylight to pass through a tree. 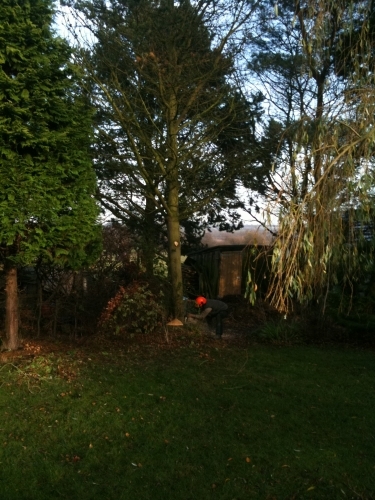 We will not usually lift lower branches to more than one third of the tree’s total height. However, we may have to do this on roads to comply with legal requirements or to make a clearance around streetlights and vision splays. Crown reduction reduces a tree’s crown while still maintaining its natural shape. This is different to ‘topping’, which is not acceptable.This method is often used where part of a tree touches, or is very close to, a building or where the tree is rapidly outgrowing its location but the client wishes for it to be retained. 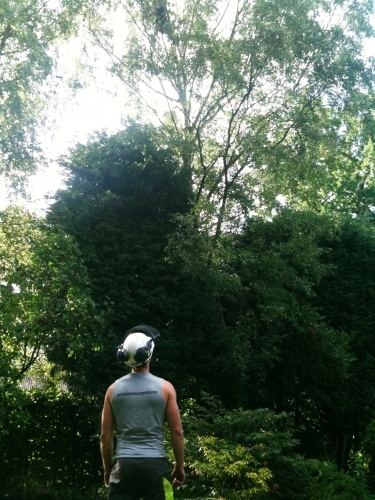 Crown cleaning involves removing dead or diseased branches and epicormic growth within the trees canopy.